I could start this post with a list of excuses on why I have not posted…but they all come down to two very simple reasons: a major case of writer’s block which has been intencified by the heat. While we live in a beach city, we don’t really get an ocean breeze around here. What we get is heat, unbearable heat. Just in case you are wondering, no we don’t have air conditioning…because we live in a beach city and people don’t have air conditioning in beach cities because you are “supposed” to get the ocean breeze…Summer months get pretty insane. We try to escape the heat anyway we can, and for the past month or so The Dog and I have been taking weekly trips to the doggie beach to cool down. As I type this, it is precisely 9:33pm and the temperature inside our house is a whopping 87°F, even with all windows and doors open. Thank God it is September which means one more month of hell and then we go back to normal temperatures until next July. Enough of this hot weather. Let me introduce to you Borani Bedemjan. I simply love this dip, not only it is really easy to make, but it is also very healthy. I personally LOVE eggplants, or if you are fancy, aubergine. I love eggplants so much that I even own a cookbook solely dedicated to eggplants. A few years ago, my dear friend Kumar and I where at a book fair and I found “The Eggplant Cookbook.” Now, how excited was I about this little found treasure? VERY excited! 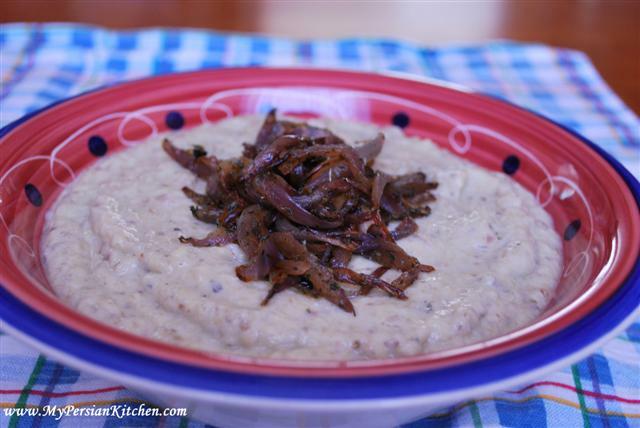 Interestingly, Kashkeh Bademjan, the other eggpland dip that I posted a few months ago, happens to be one of the most viewed posts on this blog. I wonder if this one is going to be just as popular with you readers. I thought this would be a perfect time to post this in light of the Labor Day Weekend, in case any of you want to make this dip for a gathering! Just out of curiosity, did you know that eggplant is actually a fruit? I found out this enlightening information courtesy of Bobby Flay. Amazing what you learn from the internet. Wash and dry eggplants. Place them on the grill. I should make you aware of a little learning lesson. I did a bit of research because I did not know if I should have made small holes in the eggplant or not. Some recipes say yes, others say no, and more recipes don’t even say anything about it. So I did what I know best: experiment. I decided to leave one eggplant alone while I made some holes in the other with a fork. It turns out that the eggplants should be left untouched. 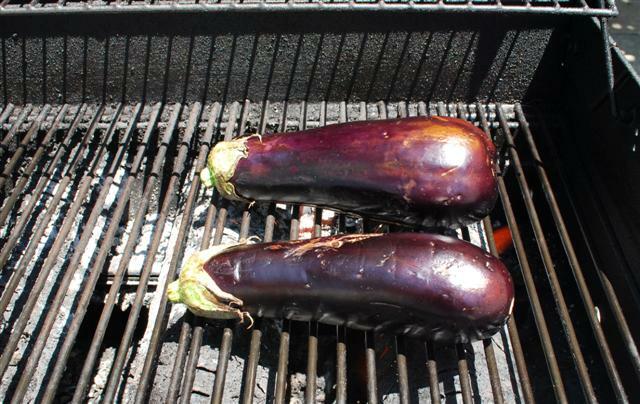 While the eggplants are on the grill just stay close and keep an eye on them. Here is the apple of my eye hanging out with me. We patiently waited together…. About every five minutes turn the eggplants so that all sides cook evenly. You will notice that the eggplant in the foreground is nice and wrinkled and it is soft to touch. This means that it is ready. The cooking process should take about 20 minutes. The other eggplant in the background with the fork marks, on the other hand, took twice as long and it wasn’t even cooked as well as the other. Scientifically, it totally makes sense. 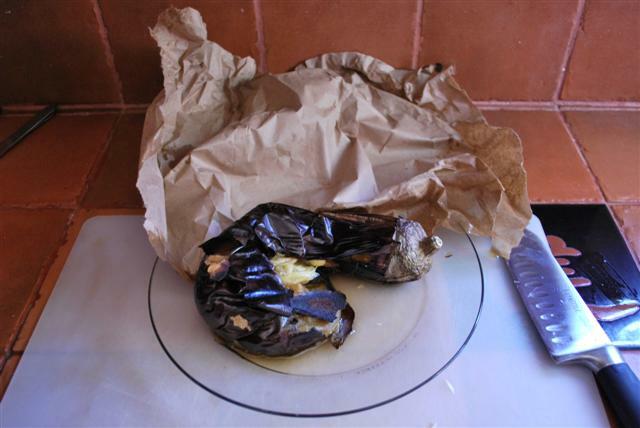 Place the eggplants in a brown bags and close it so that it will steam. This will make the peeling process much much easier. 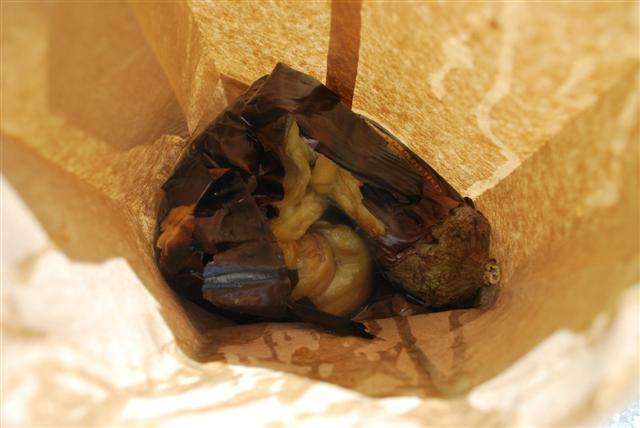 You may want to place the bag with the eggplants in it on a plate. I almost lost mine as the bottom of the bag broke because of juices. Fortunately, I caught the eggplants before they hit the pavement. 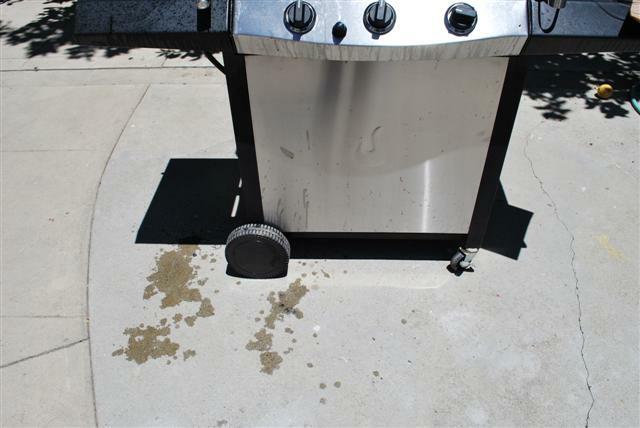 As you can see, I managed to make a mess, what a shocker!!! 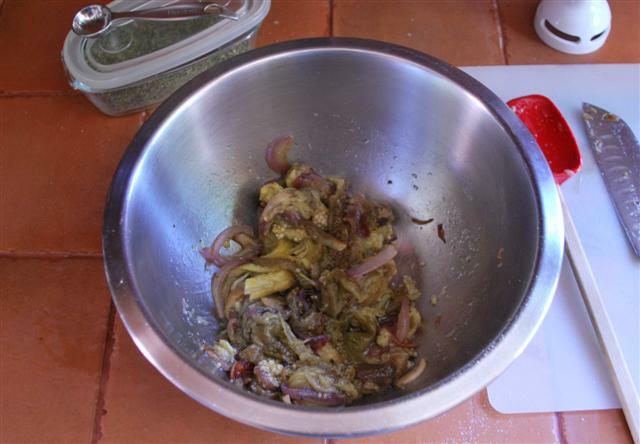 Once you are done with grilling, sauté the onion and garlic until golden. Peel the eggplants and remove excess seeds. 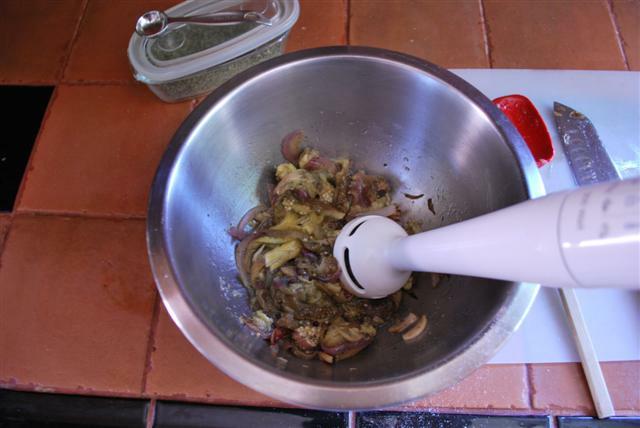 Place eggplant flesh in a mixing bowl, add 3/4 of the golden onion/ garlic mixture, 1/4 tsp of dry mint, and season with salt and pepper. Add yogurt and mix well. Taste and adjust seasoning if needed. Cover and place in the fridge for at least a couple of hours. 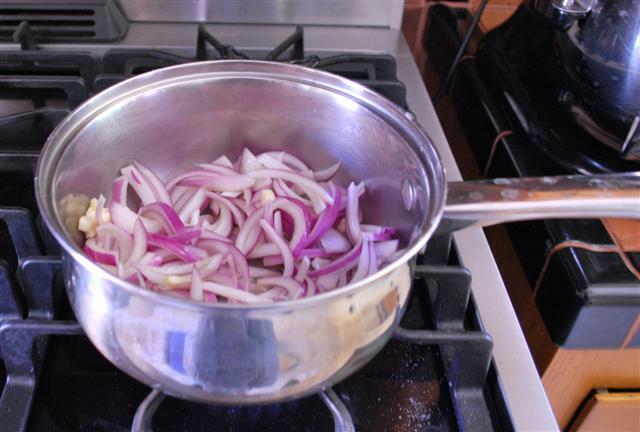 Continue sautéing the 1/4 onion left over with 1/2 tsp of mint until their color deepens. 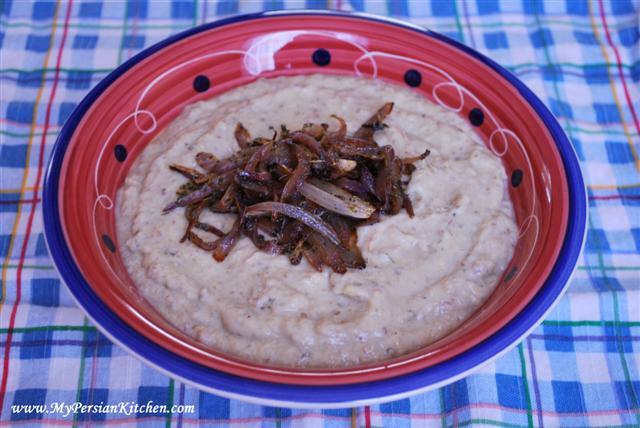 When ready to serve, place the dip in a bowl and top with the 1/4 onion mixture. Serve with Pita Chips, pita slices, or lavash bread. If you are going to make this dip the same day that you will eat it, I suggest not putting the onion mixture in the fridge. I find that it tastes better when it is at room temperature instead of cold. Additionally, because of the amount of spent sauteing, it will turn slightly crispy. If refrigerated it will lose its crispiness. But that is just my personal preference. Would you consider publishing a recipe for Mirza Ghasemi? Another delicious egg plant dish! 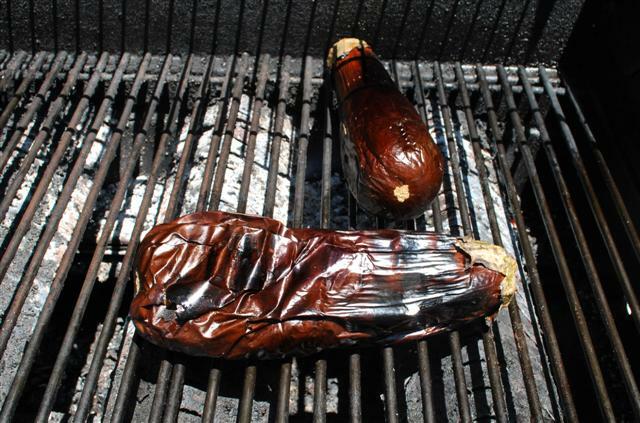 I just tried to make it for 1st time last night baking eggplants in oven…30 min @ 400 F per a recipe I found didn’t seem long enough…eggplants were not soft enough. The Mirza Ghasemi recipe didn’t instruct on removing seeds as you did for Borani Bedemjan…which it should have…I didn’t realize how seedy eggplant could be! I have never made it before. But I love eggplants so I am definitely going to give it a try soon. Thanks so much for the suggestion! I grow and cook eggplant quite a bit and I collect recipes for them. However, your recipe above while well illustrated has lengthened the instructions to 14 pages and makes printing the instructions cumbersome. Is there anyway you could first give the recipe and then show the illustrations? Many thanks. I am sorry the print out came out so long. Having a print friendly option is part of our redesign. I will definitely figure out a way to make it easier in the mean time. Your recipes are mouthwatering. I volunteer at a couple of community gardens one of which is a facility for teens (girls) which are placed there by the courts to get them out of hostile circumstances. I as well as several other Master Gardeners have put in vegetable, herb & flower gardens for them as a teaching/learning experience during their stay. Some stay for years, others months. I also do cooking classes with them hoping to inform them about foods that can be grown economically and bring it to the table. I will definitely be using some of your recipes as a way to introduce them to the rest of the world. Carole, your comment made my day! What a great way to pass on my recipes and introducing your students to Persian cuisine. Bravo to you!! it is very interesting how the badenjan borani you posted (or what I have seen in stores here in Canada) is very different from the Badenjan Borani made by my mother in our house. The eggplant was slightly fried or roasted and then added to the yoghurt as-is. No pureeing. Mostly served as an accompaniment to a qormeh or something like that. I am from Pakistan, so I think it was a regional difference, but I love this dish, no matter how it is made!! 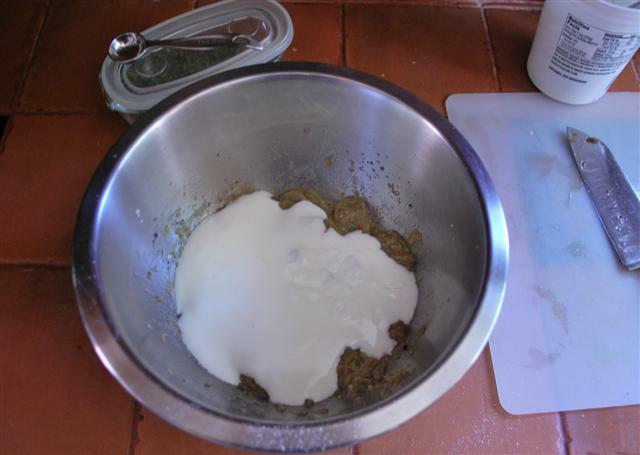 (I saw someone requesting a recipe for Mirza Ghasemi) I am now going to scour your blog to see if you did and try it out tomorrow myself as well. Also, I live in an apt so smoking /fire roasting the aubergine’s is never an option, yet I love the partly smoky flavor of the dish. 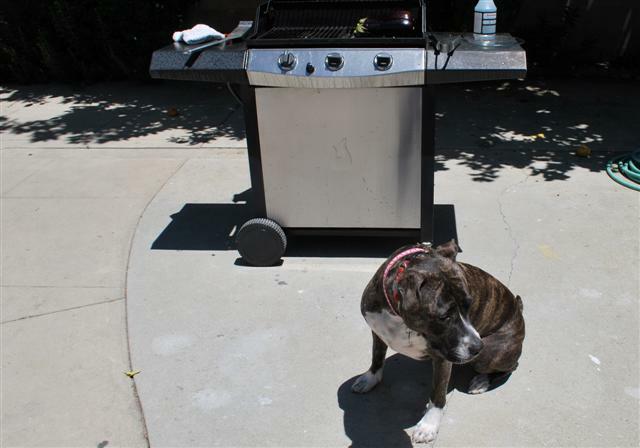 Do you have any ideas on how to get the same flavor without an outdoor grill? Maria, one thing I have learned since having this blog is how the many dishes are not prepared in the same way by all. 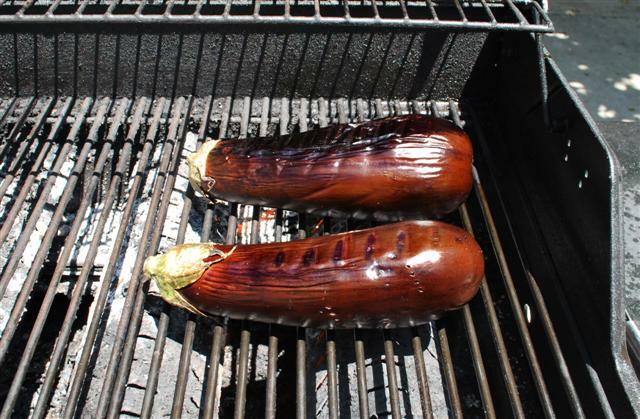 You can broil the eggplants in your oven. I do have a recipe for Mirza Ghasemi! I have to admit, I can’t wait to make this lovely dish especially that I know how easy it is. See, the first time I tasted this amazing garlicky, mushy treat was a summer night when my family was vacationing in Tehran, and we had gone out to dinner at this unique and quaint place called Estakher (direct translation, the pool). My Dad had ordered some appetizers. I recall the rich aromatic flavors of the food and the holistic experience I was having while enjoying this new dish and my father’s reaction to it all. Since then, every time I have my first taste/bite of this treat, I remember my father’s smile and his joy. Thank you for reviving the memory and the flavors. Roz, thank you so much for sharing your cherished memories. Yes, this dish is very easy to make and definitely a crowd pleaser! Here I am again looking up your site with interest. I grow all kinds of things on my land and this year I got a lot of eggplants. From what we called Khalily to ghalami and even the white ones that we have here. I always loved kashk o bademjan but never was found of Borani. Looking at your dish kind of whet my appetite. Since I make my own Mast either from my cows or my goats and home grown everything, I am going to give it a try. I also wanted to say something about the paw wah in Beverly Hills. I knew Delshad family as a child in Shiraz since my Dad was a close friend of one them who had store on khiaban daryush selling all the musical instruments. I wished I could go there, however, it is not possible to come down there this time of the year. I wish you could post bunch of pictures from that gathering pertaining to our food. Thanks for the good job you are doing. Oh my how lucky are you that you not only get to eat your own home grown eggplants, but also make yogurt from your own cow/goat milk. Now that’s a good life! Please do let me know how the Borani tasted! I will take as many pictures as I can of the Taste of Persia event! I found in a UNICEF kitchen book for children a recipe for borani bademjom (maybe different translitteration? ), and I’m gonna prepare it for a dinner tomorrow evening with my friends. Never tasted before, so I hope I won’t kill the spirit of the dish! 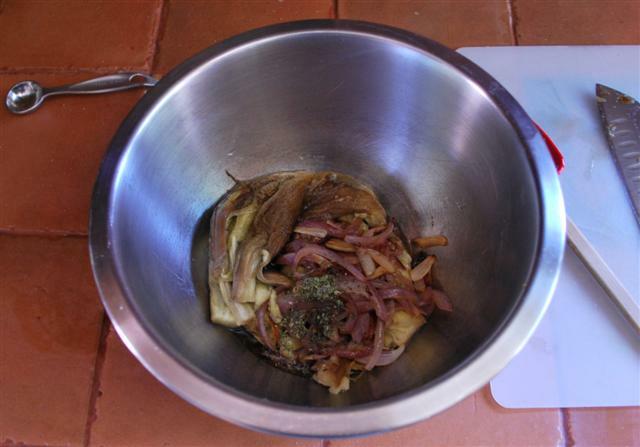 Your recipe is more complete than that of the book, and I think I’ll read other recipes from your blog, just seeing pictures of bademjan make me hungry. I’m lucky because my father prepares yogurt from milk instead of buying it, not so lucky with eggplants :-(, still I hope the result will be worthy. Francesco, thank you for your comment. Please do keep me posted on how the recipe from the book came out or any other Persian recipe you will make! Grazie e a presto! I picked up a Persian cookbook from the library and was excited to find a Borani bademjan recipe. I made it today and it looked like this dish you have posted here even though it showed a picture that looked like the kashkeh bademjan recipe you posted. Does the tomatoe paste give it the orange color? I added saffron (not crushed) and did not see any color difference. Please help. Amnah, the color of kashkeh bademjan comes from Saffron. Pulverizing and brewing the saffron in hot water before adding to the dish will make a huge different. But yes, both saffron and tomato add a lot of color to the dish. This recipe was definitely fun to read. As a teacher, I deeply appreciate the excellent instructions. I’m giving this a try today. Off to buy the ingredients. For the first time ever in my gardening history ( oh it has only been 17 years) I have been successful in growing Heirloom eggplants. we have 5 Ping Ting and 4 eggplant Diamond. I just finished roasting them on one of the hottest and muggy days we have been having in southern Ca. This dish by far one of my favorites I was introduced to it around 5 years ago from a friend of mine who is from Iran. I am so excited that I have my home grown eggplant finally, and can use this for my dishto use in my dish. Leila, congrats on your gardening success!!! I loved watching my eggplants grow a couple of years ago. More power to you for roasting eggplants in this weather. I feel like I am roasting in my own house for how hot it has been! I simply LOVE your recipes. Making this Borani Bademdjan in this moment. Not with an outdoor BBQ though… But in the oven for 45 minutes. Here in Denmark it’s still kind of winter.